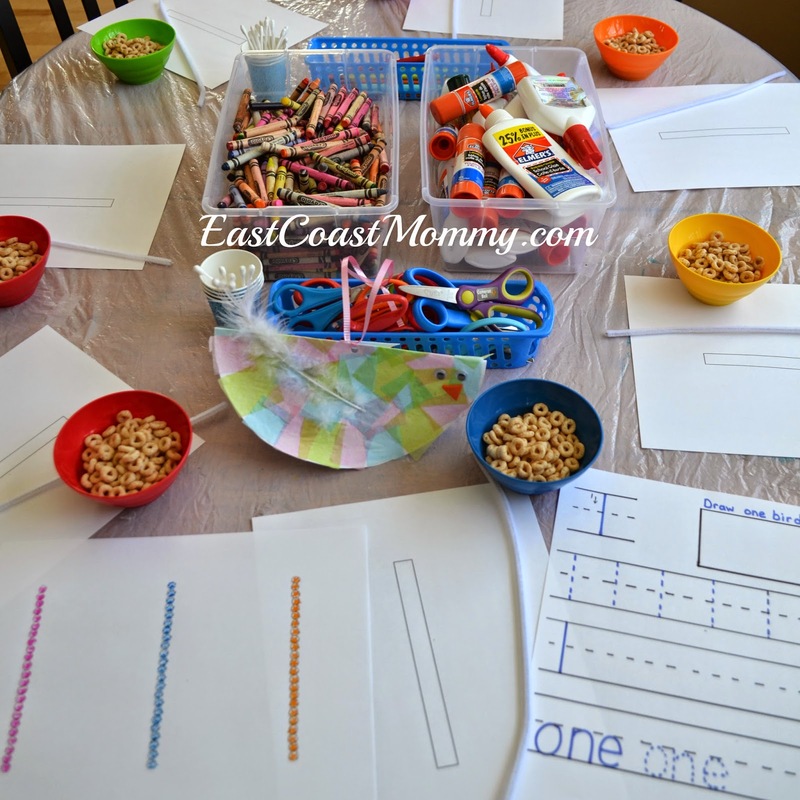 I have started a Craft Club in my home for preschoolers, and we are doing a different number craft each week. 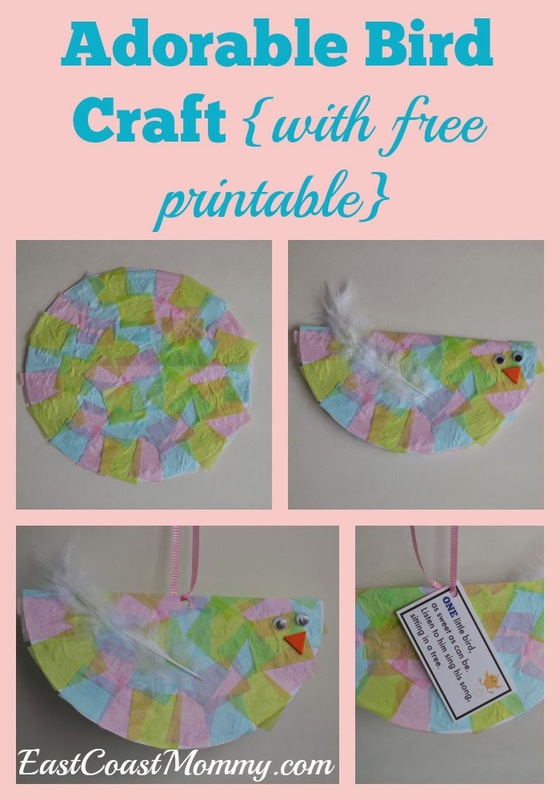 This week, we are focusing on the NUMBER ONE, and we are crafting an adorable bird for spring. 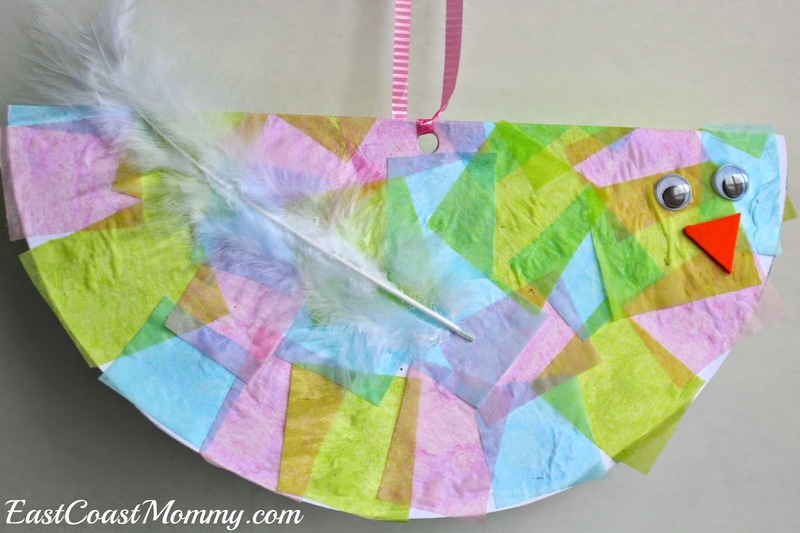 2) Glue small squares of tissue paper onto the circle, allow to dry, and add googly eyes, an orange triangle beak, and a feather. 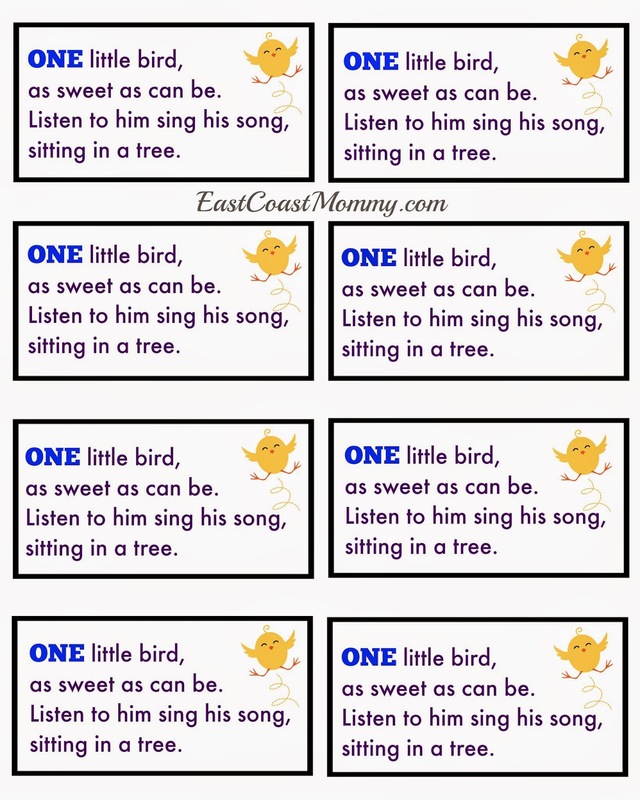 3) Punch a hole in the top of the bird, add a piece of ribbon, and attach a "number one" poem to the back. To download a copy of the poem: right click on the picture below, save it to your computer, and print it like a regular 8X10 photo. I love how sweet and cheerful this little bird is. It is simple to make, and it is fun way to learn about the "number one". I hope you enjoy my first number craft. 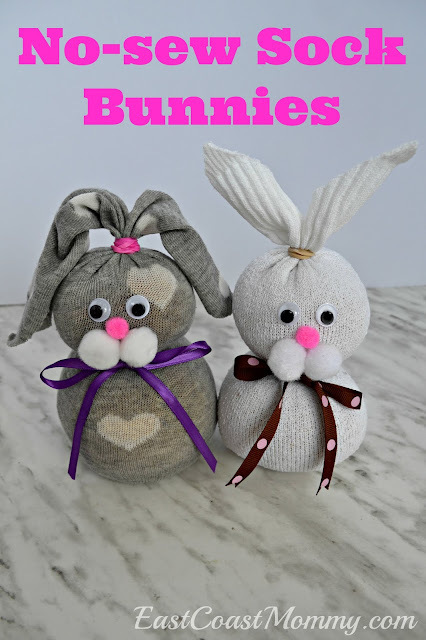 I will be sharing a cute craft for the "number two" soon! Make a Cheerios bird feeder in the shape of the number one, practice printing the number one, decorate the number one with crayons, and/or use stamps or Q-tip painting to make the number one. 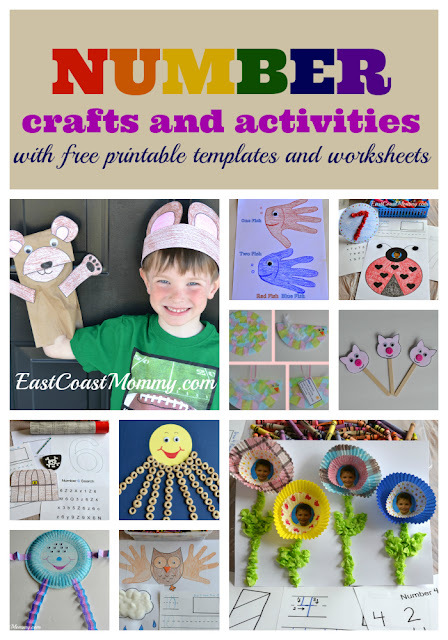 MORE number crafts and activities here.